I really wanted to vacuum form a ramp today, but mother nature had other plans. Due to the rain, I switched gears back to TotD. I ordered a P-Roc kit yesterday. I can’t wait to get it! There’s lots to do before the kit comes. For one, I need to wire everything up (Minus end connectors) so I can hook the P-Roc into the game as soon as it comes. I started this task with the GI. It seemed simple enough since it isn’t actually controlled. It took about 2 hours to solder all the sockets together. I was lucky too as everything worked fine the first try! 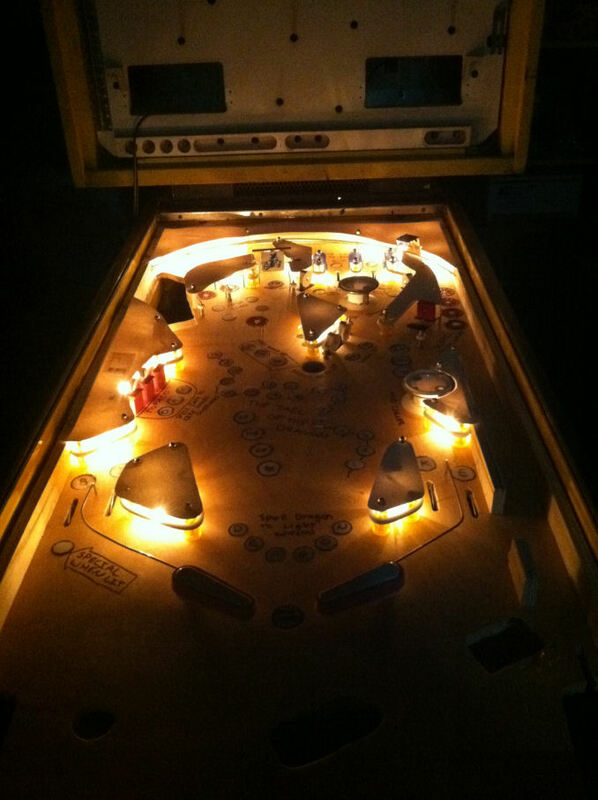 There seems to be some dark spots on the right side of the playfield. I’m going to remedy that issue tomorrow. This entry was posted in Tail of the Dragon by LinsPins. Bookmark the permalink. 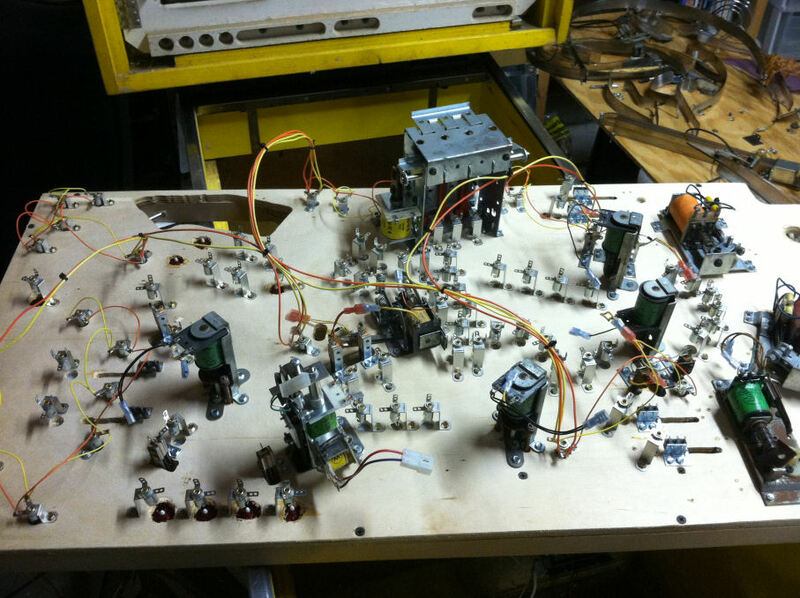 All custom pinball designs, schematics, layouts, and devices presented on this web site are (c) John K. Manuelian. John K. Manuelian does not claim any ownership of characters, trademarks, copyrights, or property owned by external entities. None of the tables listed in the "Requested Pins" section will ever be for sale in their current form unless the entity(s) who own the IP represented on the table gives written permission to do so.